Combine that confusion with the fact that the newly elected President is opposed to many aspects of the ACA, patients may soon become even more confused. Your healthcare marketing strategies can shine a light into the murky waters and close existing ACA loopholes. Ultimately, this confusion boils down to health insurance illiteracy. Unless you work in the insurance industry, it's not easy to discern what the literature says about insurance policies. So, imagine what it would be like if your healthcare marketing team stepped in to make it all more clear. A 2014 Kaiser Family Foundation survey found that a large number of adults were unable to define key insurance terms like deductible or premium, couldn't figure out what their own billing responsibilities would be in given scenarios, and so on. These folks are health insurance illiterate. Notice patients are confused about certain medical- or insurance-related terms or phrases? 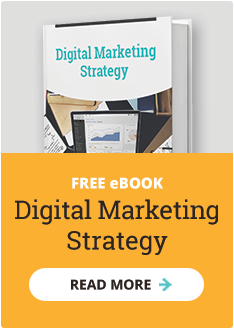 Start including basic glossary definitions in your marketing materials. Have them answer a clever pop quiz question before they log in to their patient portal, testing their knowledge and providing correct answers if theirs are incorrect. Pay attention, or set up system-wide alerts, and contact patients whose healthcare coverage has changed. If services you used to provide in terms of diagnostic tools, medical management procedures and/or treatments are no longer covered to the same degree, you could wind up with patients who are unable—or unwilling—to pay their bills. Have your patient coordinator or billing staff reach out to patients as soon as you notice their coverage has switched, ensuring that they are clear on what's covered and what's not. If patients have already accrued overdue bills, let them know about various payment plan options. Also, consider scheduling appointments with their healthcare team to see if any of the uncovered treatments can be switched to alternative, more affordable treatments. This proactive marketing approach will result in more informed patients who can pay their bills on time while still getting the treatment they need. If patients lacked insurance in the past, their new coverage is both a relief and a source of stress. They're happy to have it, but they don't know what it actually means or entails. A 2012 poll by the John A Hartford Foundation found that 68% of older adults didn't know annual wellness visits were free, and only 17% of them had utilized the benefit. Preventative medicine saves millions of dollars in future emergency and/or treatment costs. While patient coordinators help in this arena as well, make sure blogs, social media posts and patient portals are all set up to remind patients about free benefits that keep them healthy and save them money. 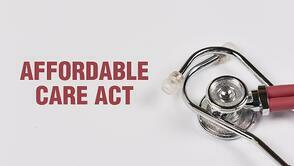 The more your healthcare marketing team can close these ACA loopholes, the better off your brand will be.